Seems like only yesterday, I was capturing the birth of my cute little nephew, Kayden. Now, exactly one year later, we get to celebrate his first year of life! Happy 1st Birthday Kayden! Of course you would have a CARS themed party, as cars are your father is passionate about. We had fun having you ride around in your new Lightning McQueen car at Wallace Lake park, in Berea. You are loved, handsome and blessed, my little one. What a great smile. Can't wait to see the young man you will grow into. Your cousins light up when they see you. 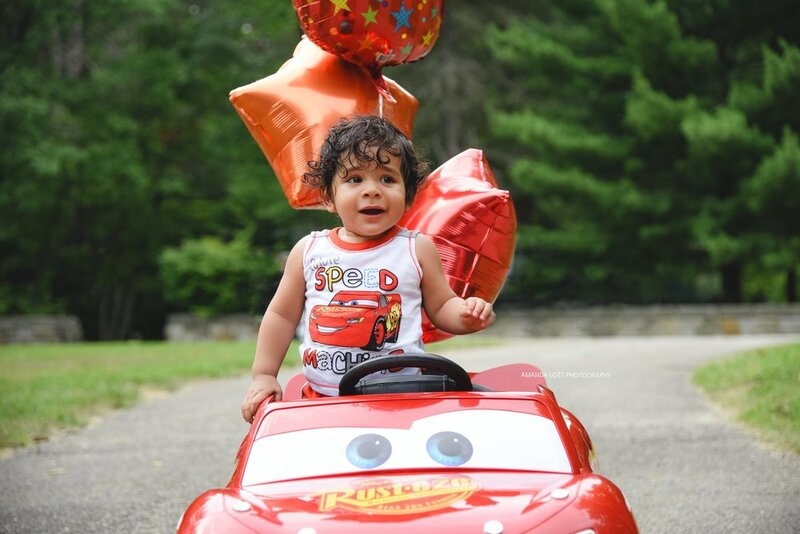 Feliz Cumpleanos Kayden, we love you!